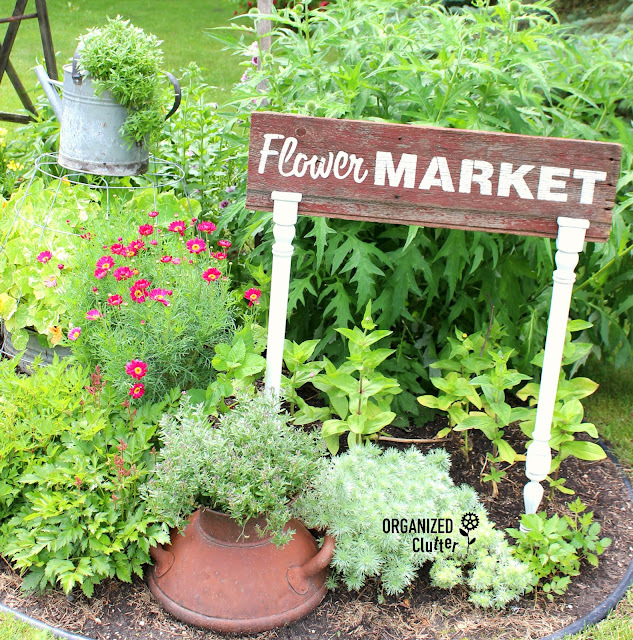 Garden Inspiration from the Homeroad Blog! 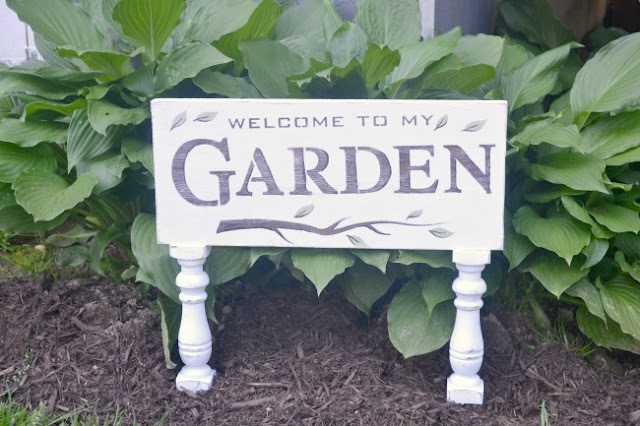 Recently, Susan from the Homeroad blog, had a fun garden sign made with spindle legs. 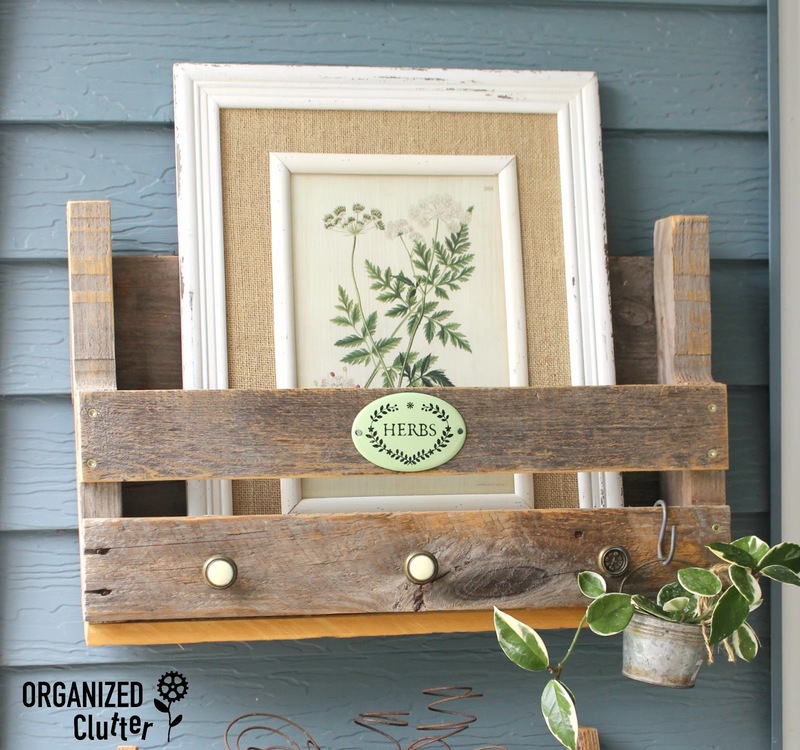 When I found spindles at a garage sale for $1 last weekend, I quickly stenciled a sign on a weathered red piece of barn wood siding using a stencil from the Old Sign Stencil Extension package. I stained my unpainted spindles with vinegar and steel wool stain and then brushed them with a thinned latex off white paint. Like a whitewash. Here is my inspiration piece from Homeroad. My spindles had a lip so I attached them from the back with wood screws and washers. I used Susan's idea to add a metal dowel in the bottoms of each spindle to push into the dirt. Now if I can just get some sun and heat here, and less rain so my border starts blooming! I also changed the 2015 look of this pallet shelf made by my friend, Trina. The shelf is protected under my covered patio. 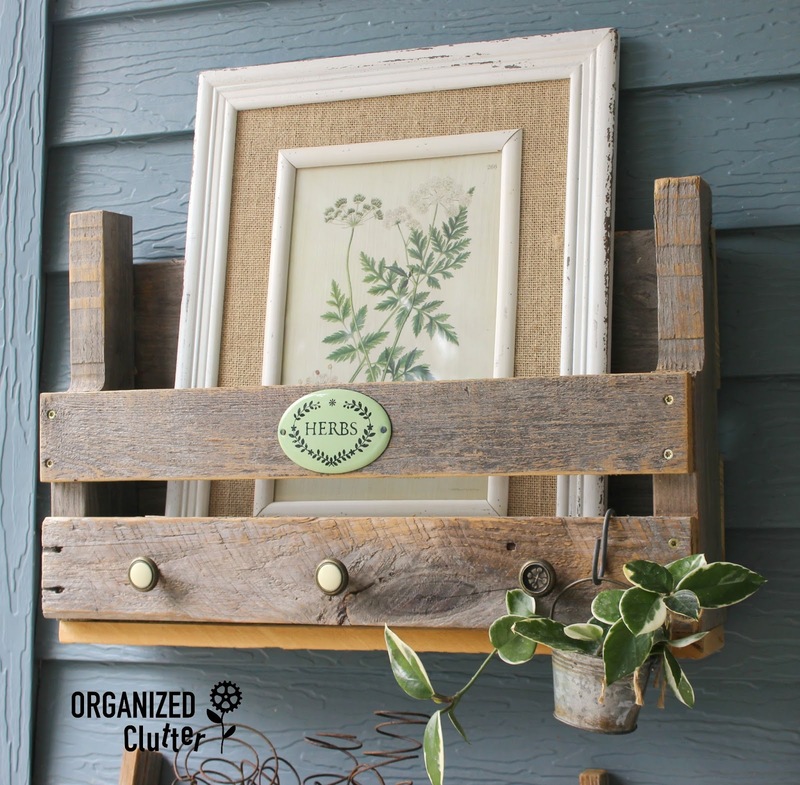 I found the an oval, enamel "Herb" sign at a local occasional shop last weekend, and nailed it onto my pallet shelf. I placed a framed botanical print, with burlap, on the shelf and also added a miniature galvanized pail of variegated Hoya (wax plant) with an S hook. I think it's adorable! 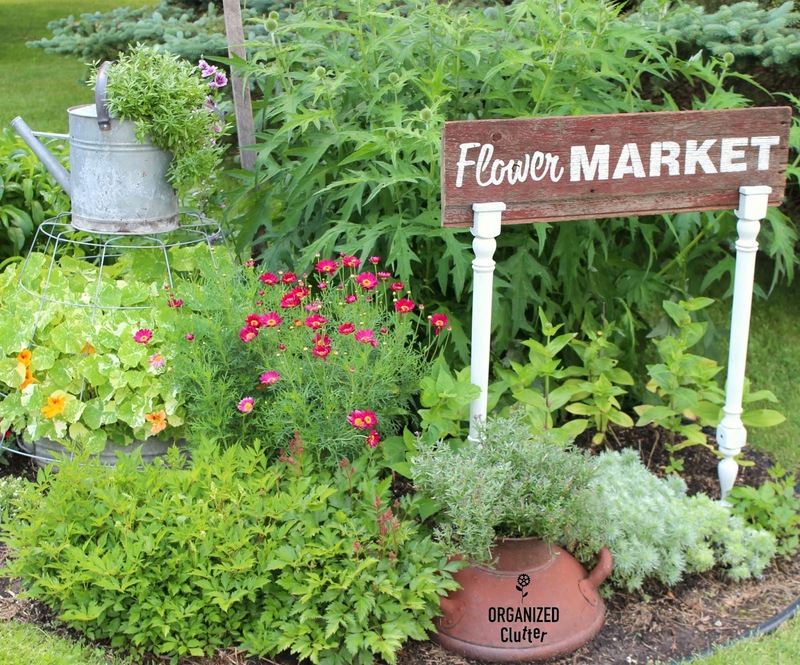 Rustic perfection! You are such a clever girl! I interested in the piece under the watering can. It there a post about it? Love it! You should do a video of your whole yard. I would love to see all of it. Thanks for sharing your ideas. Carlene, LOVE this! I love how you took Susan's idea and made it your own. The tall sign idea is really cool! And of course, the message you have on yours is perfection for that spot. :) Thanks for the mentions!